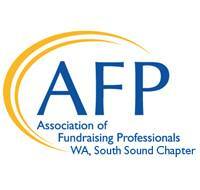 Thank you for your interest in the resources and opportunities to network and learn that AFP South Sound provides. Sign up below to receive our monthly e-newsletter and special e-blasts with details about upcoming programs and events and resources to help you and your organization succeed. We do not sell our list, and you can unsubscribe at any time.